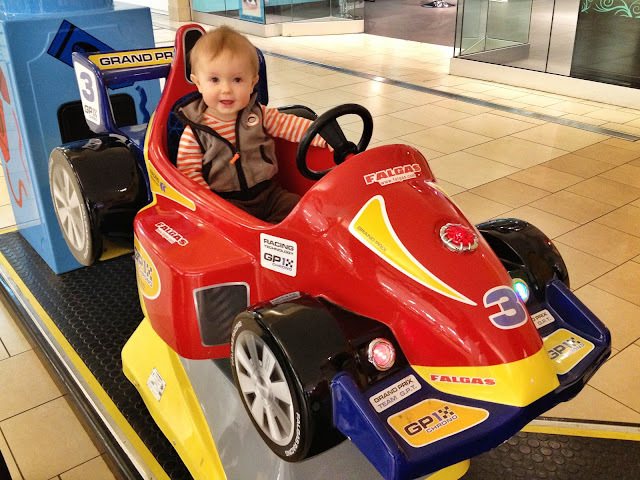 I think Rowan might be the next Fernando Alonso or Jenson Button, judging by how much he liked this F1 car in the North Shore Mall. He checked the steering but he thinks there must be a broken tie rod or something, because the wheels weren't moving. 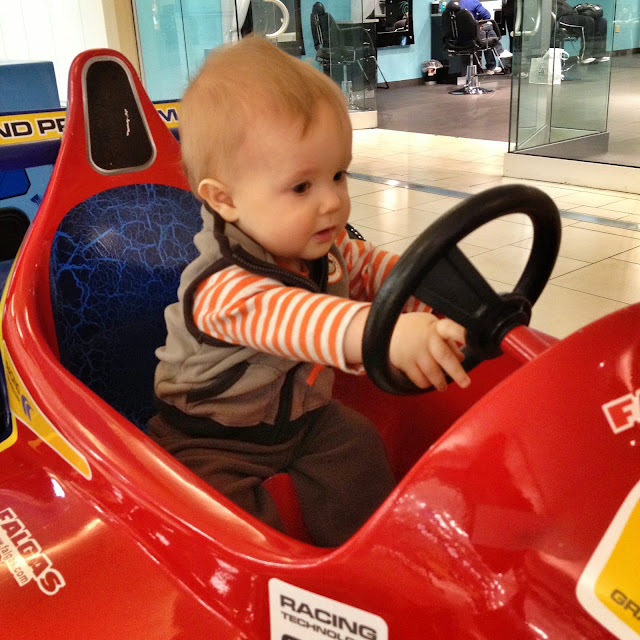 He'll have the pit crew check it out. Formula 1 returns to the US next week with the opening of the brand new "Circuit of the Americas" in Austin. 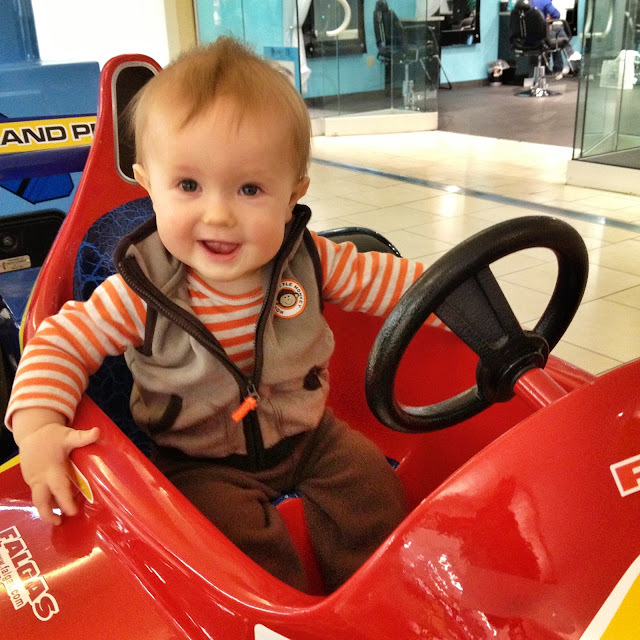 Ok Rowan, if you insist, we can spend next weekend watching the Formula 1 racing. He's so cute. He seems to love getting his photo taken which is lucky for him as the camera is never far away.